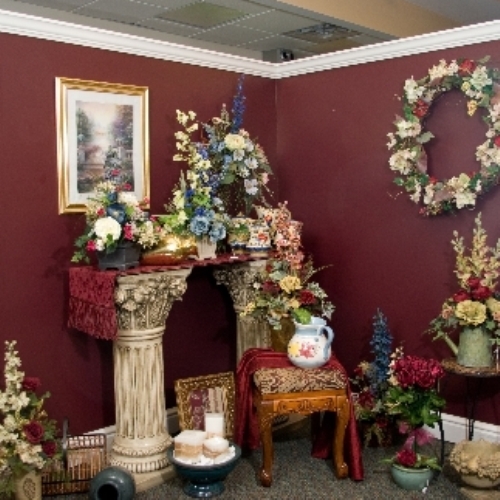 You can find what you are looking for in our spacious showroom--exquisite silks, lush green plants, and striking fresh arrangements. *Our shop is open from 8:30 a.m. to 5:30 p.m., Monday, Tuesday, Thursday and Friday. From 8:30 a.m. to 1:00 p.m. on Wednesday and Saturday. We are closed on Sundays for family and worship. To help assure on-time delivery during the busy holiday season, place your order at least 1 day prior to the following major holidays: Thanksgiving Day, Christmas Day, New Year's Day, Valentine's Day, Easter, Administrative Professionals Week, Mother's Day, Memorial Day, Father's Day, Independence Day and Labor Day. Our shop will always be closed on the following holidays: Thanksgiving Day, Christmas Day, New Year's Day, Easter, Mother's Day, Memorial Day, Father's Day, Independence Day and Labor Day. If you have any questions or need more information, please contact us by e-mail at info@printzflorist.com or call us directly at (800) 390-0161. We're always here to serve you and make your flower-sending experience a pleasure. 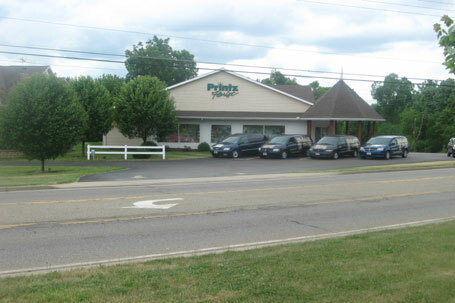 Located at Meyers Lake, in Canton Ohio, this location has a long heritage of greenhouse and flower shop history. At the time of "local hero" William Mckinley's assassination we had the honor and privilege of producing many of the floral tributes. The growth and experience throughout those early years has helped in our floral business progression. 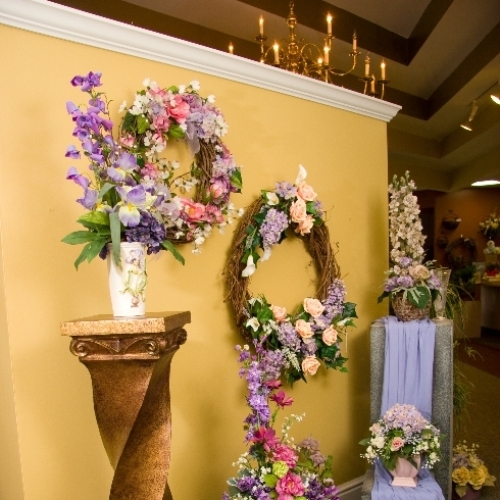 Printz Florist is family owned and operated by: Jack and Tammy (Printz) Plastow since 1984. Tammy and Jack both earned "Master Florist" status through 'FTD' for their achievements after years of business management courses and training. Together they continue to strive and enhance their education by participating in business, leadership and sales seminars. Our expertise and knowledge is why Printz Florist offers you the highest quality floral products, and designs you won't find anywhere else. Our knowledgeable and friendly staff is here to help you with all your floral needs. Enjoy browsing our web site. We like to fit our flowers to your personality. Our shop serves the following areas: Canton, Bolivar, East Sparta, Greentown, Hartville, Louisville, Magnolia, MAssillon, Navarre, Paris, Richville, Robertsville, Uniontown, and Waynesburg.